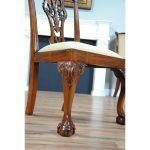 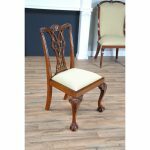 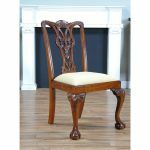 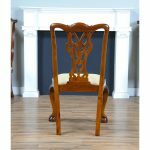 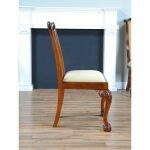 The Niagara Furniture Fenton Mahogany Side Chair. 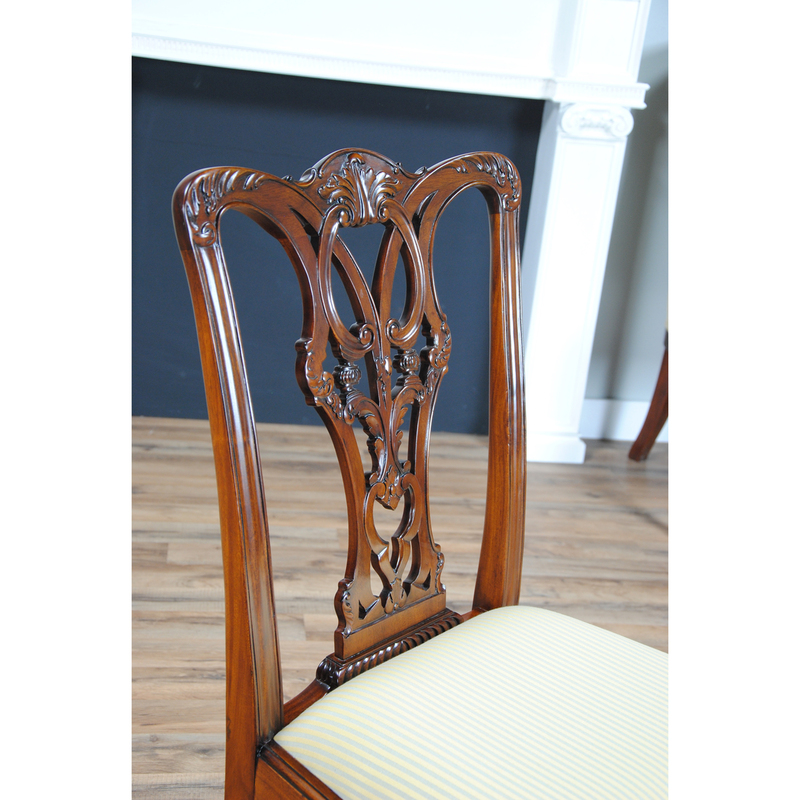 The chairs are fully decorated with carving, the stiles of the chairs being reeded. 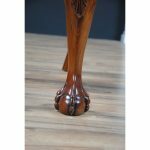 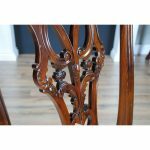 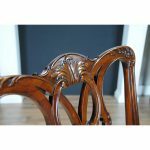 The carved crest rails above carved pierced splats with drop in seat frames which are supported on cabriole shaped legs with carved knees and carved ball and claw feet. 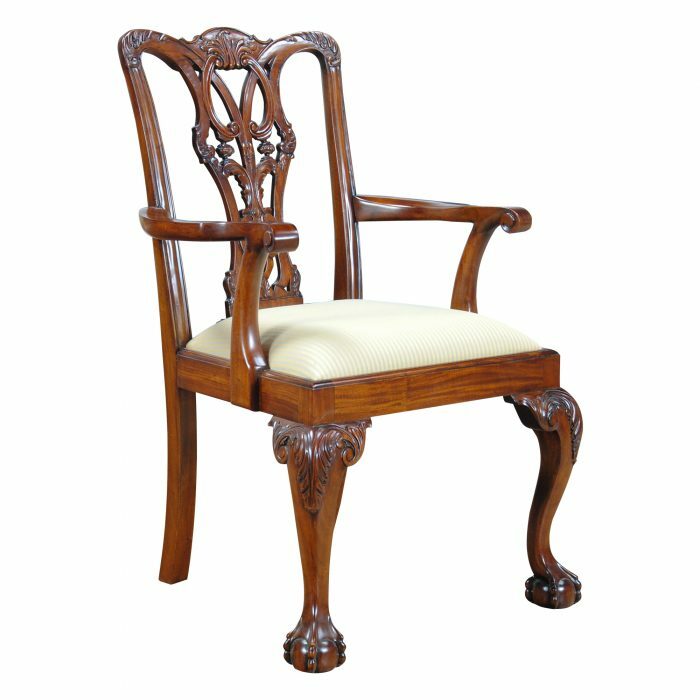 All carvings are done by hand by experienced craftsmen with decades of experience. 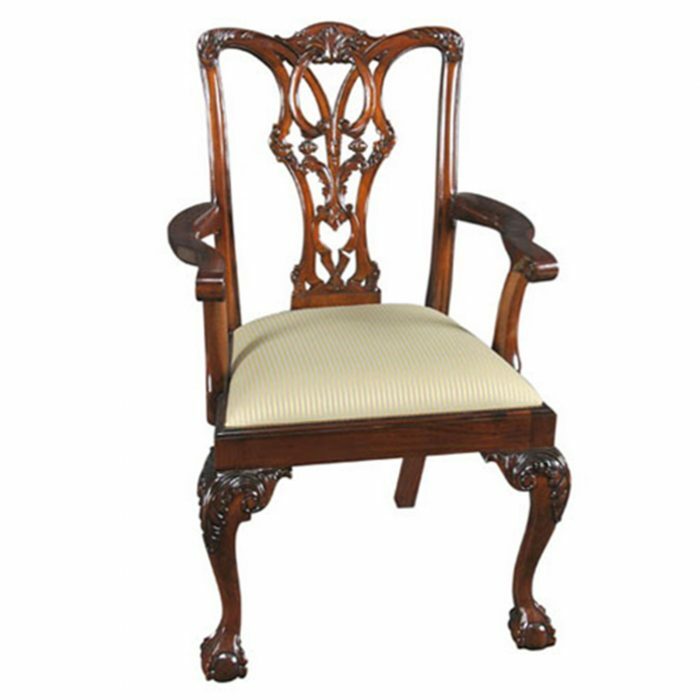 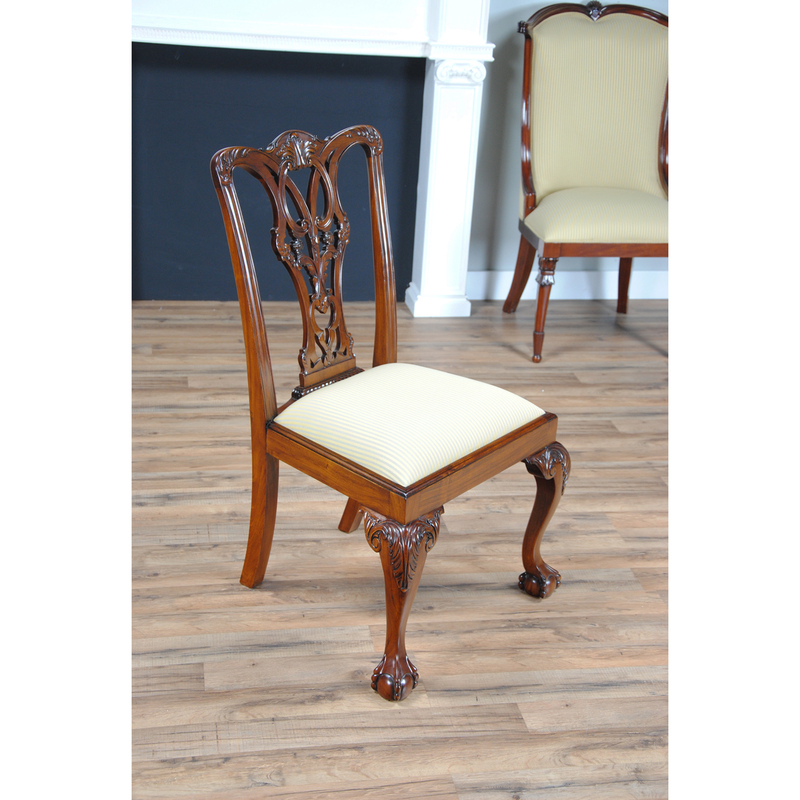 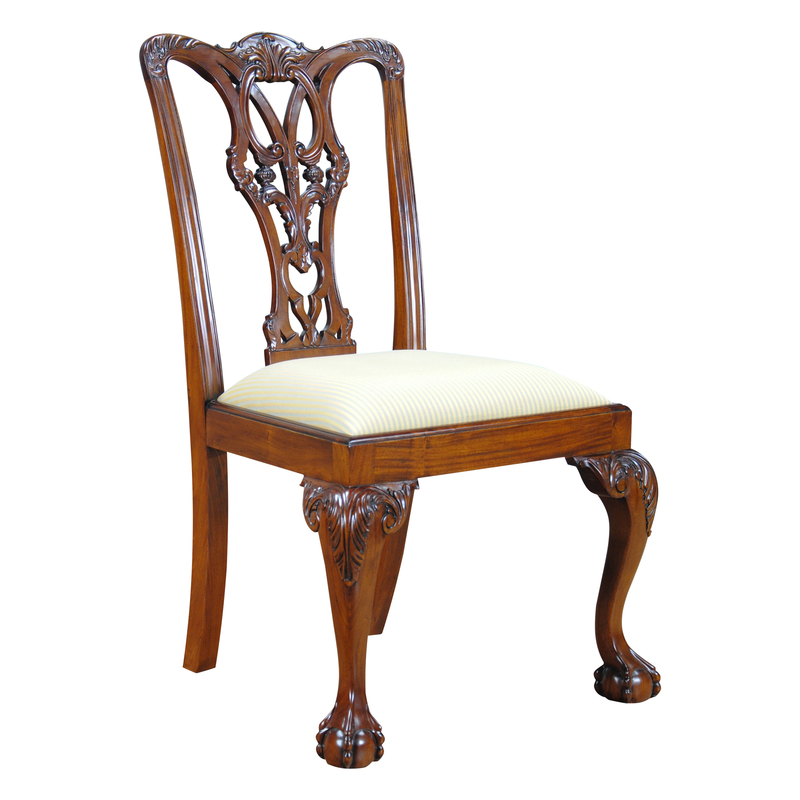 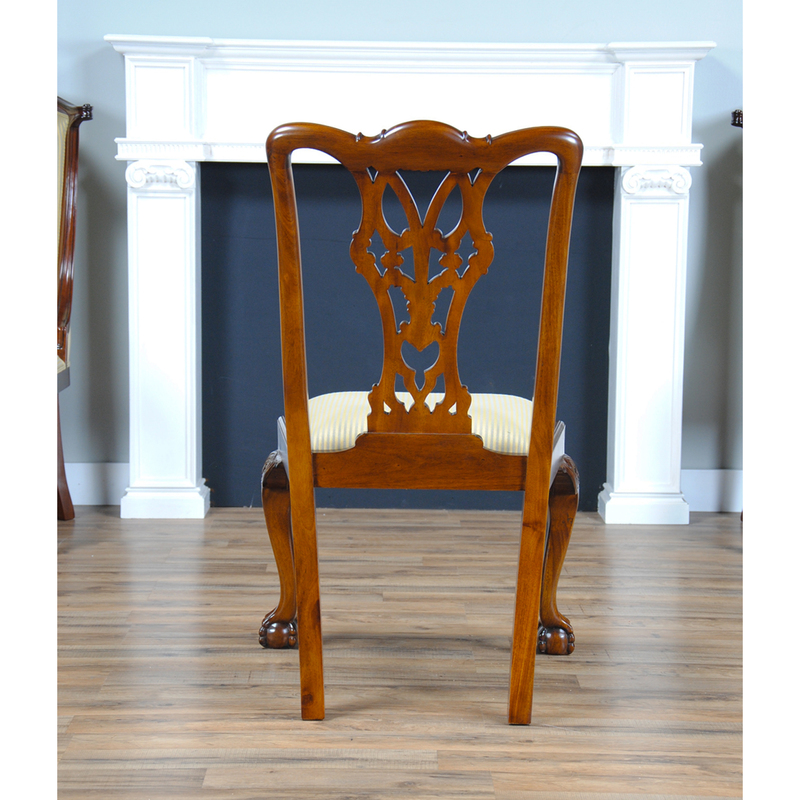 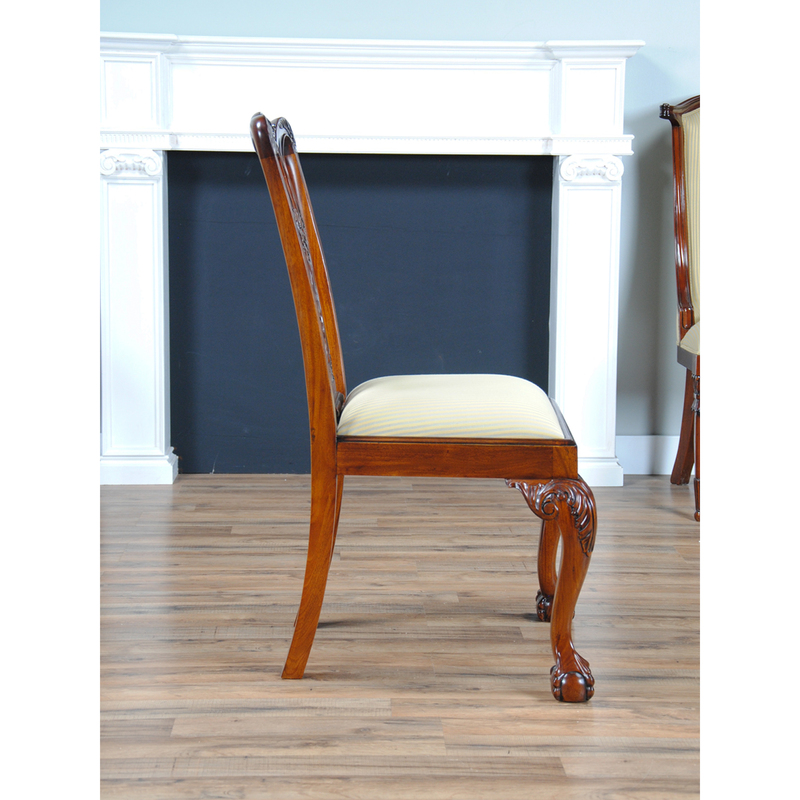 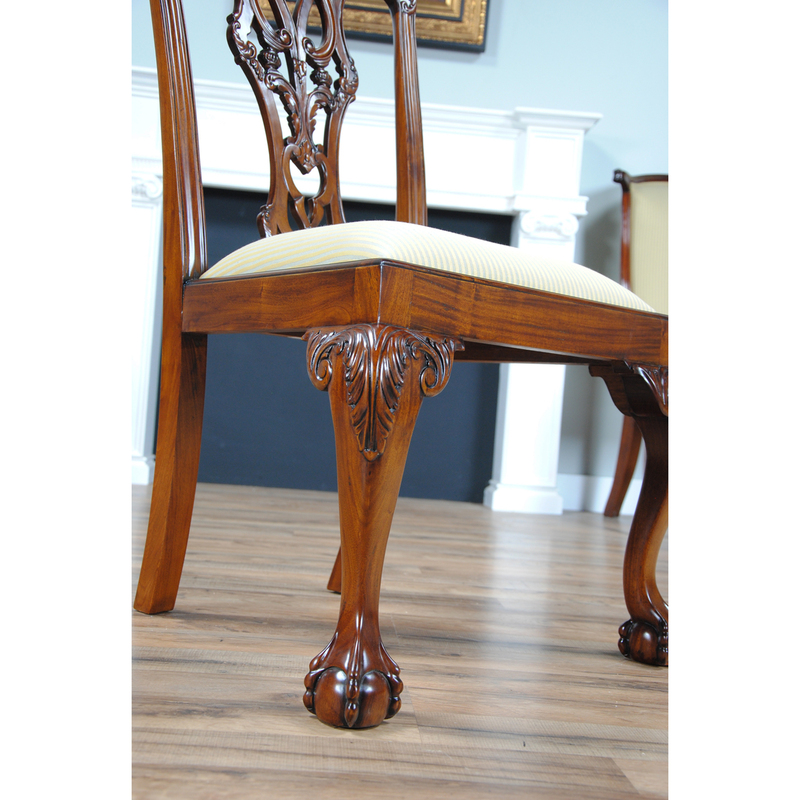 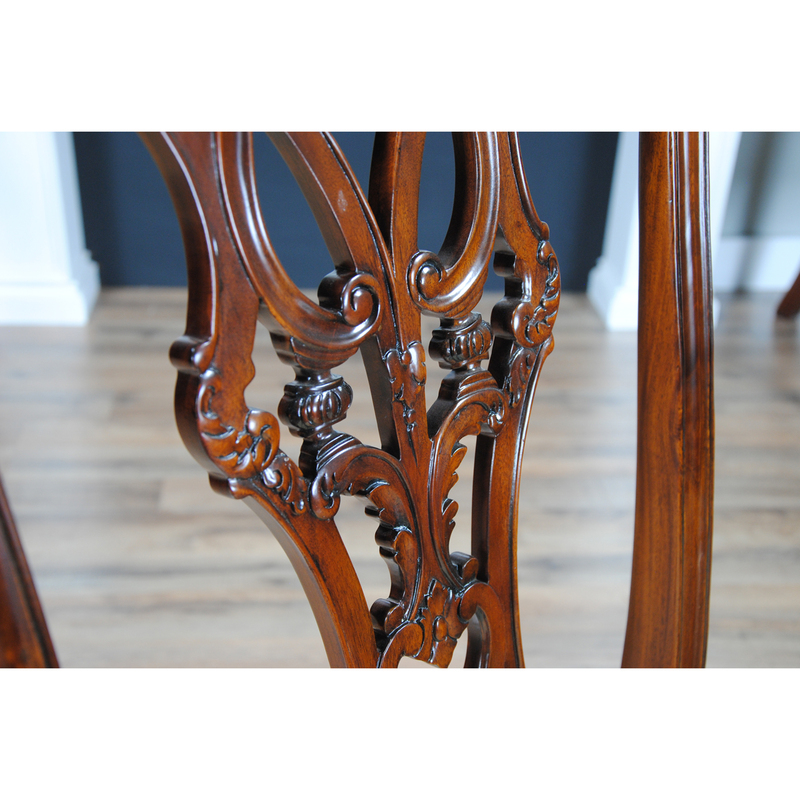 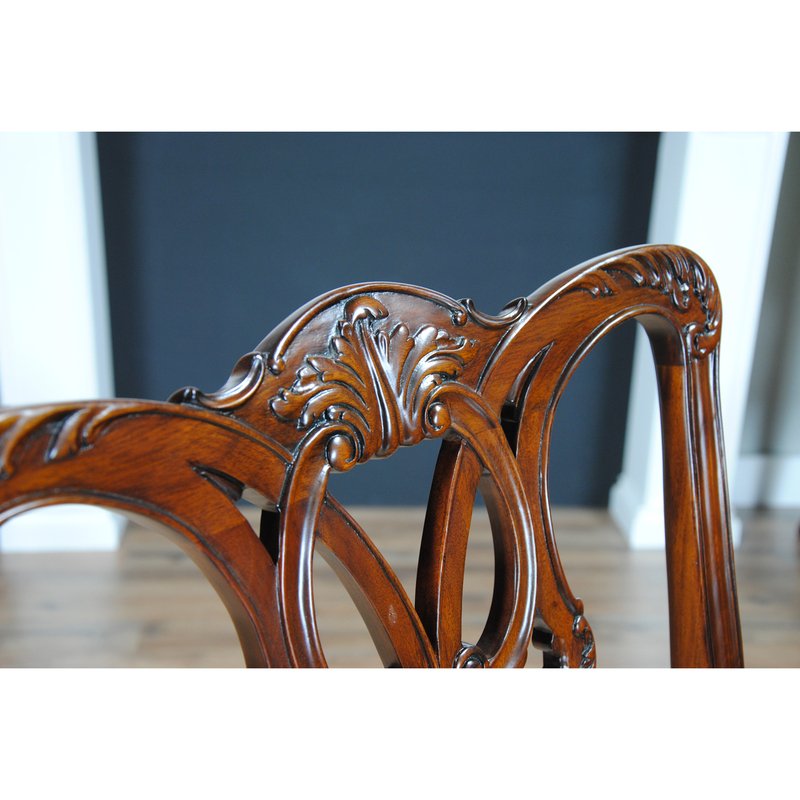 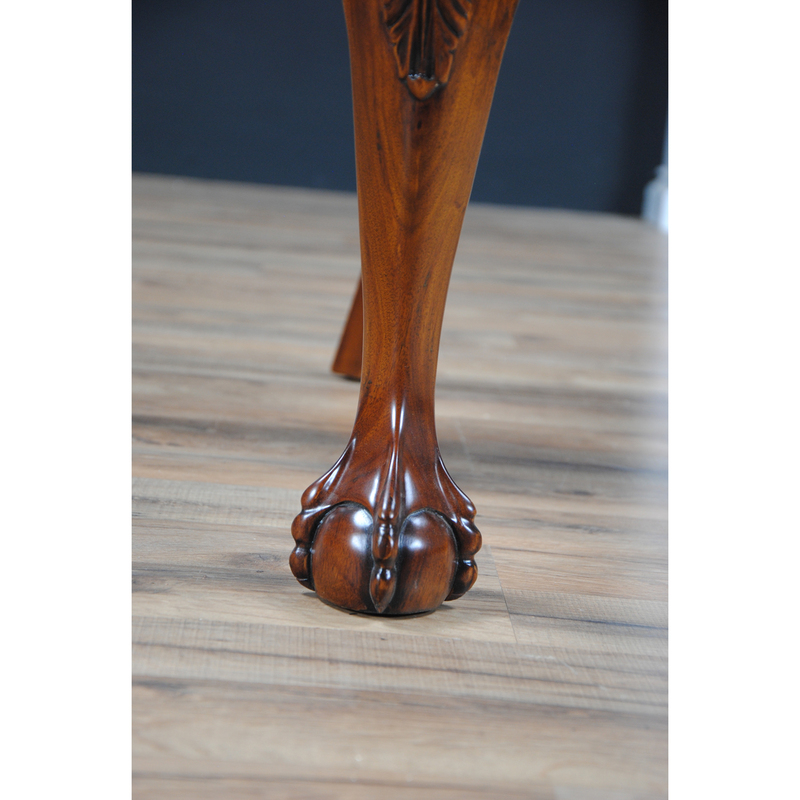 Each Fenton Mahogany Side Chair is produced from kiln dried, plantation grown solid mahogany. 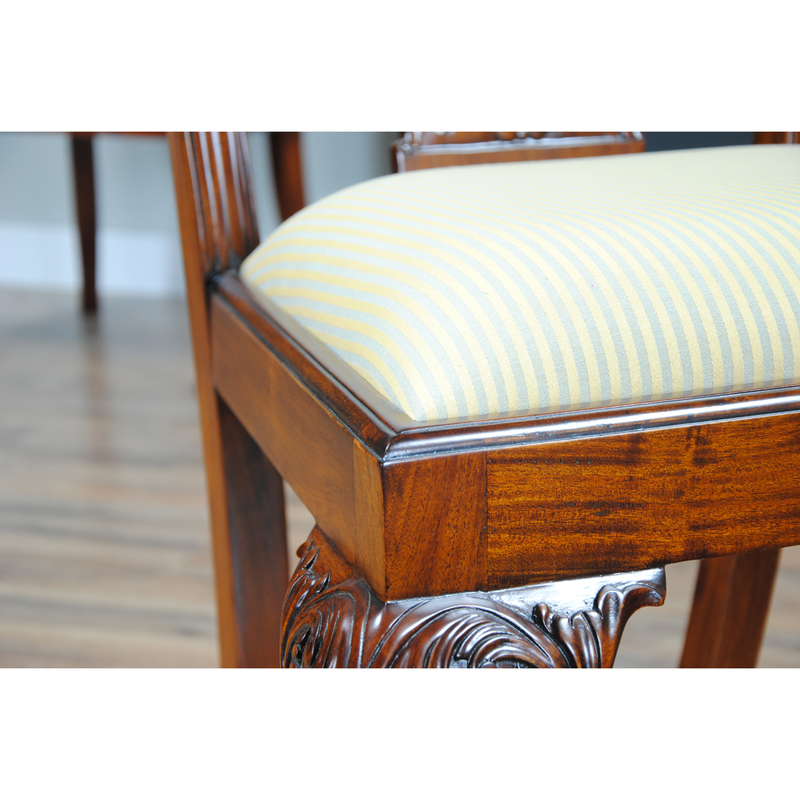 Upholstered in neutral fabric, ready to be used and enjoyed. 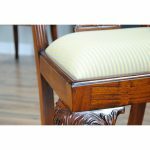 The drop in seats are also readily removed with four screws so you can add the fabric of your choice quickly and easily.